OMG… it took me a minute to get the joke. 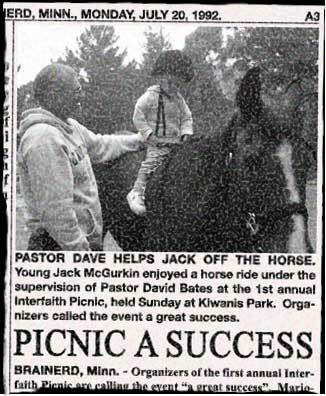 Heh… as if being “Pastor Bates” wasn’t bad enough..
Alright, folks, let’s slow down a sec and remember Photoshop exists. I’m gonna say maybe, just maybe, someone may have digitally manipulated this. The phrase “1st Annual” is also a tell, as is having an interfaith picnic at a Kiwanis park.